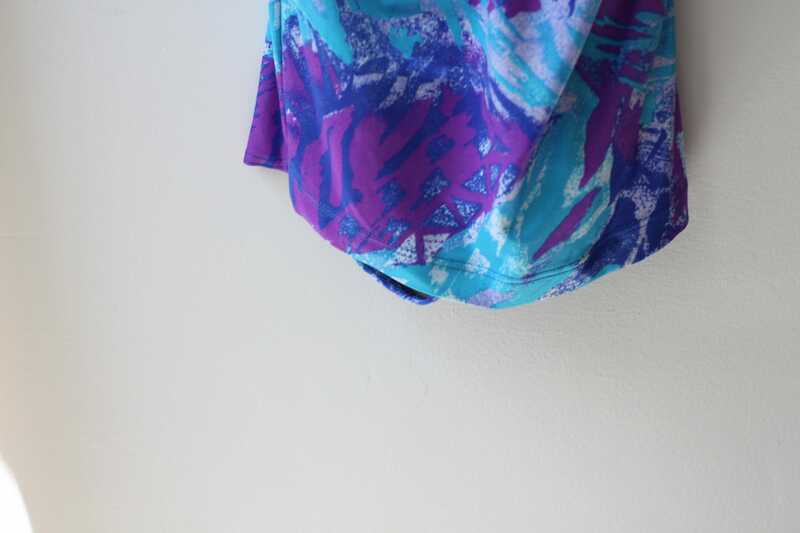 A perfect one piece swim suit from the 1980s. This swim suit is done in a 1960s style with a faux skirt piece that covers the front of the suit. Diagonal stitching and slight ruching runs through the front of the suit. Blue and purple geometrical pattern that reminds me of those to-go cups from the 1980s/1990s. There is a slight soft support lining to the bra but does not create a pokey bust area.